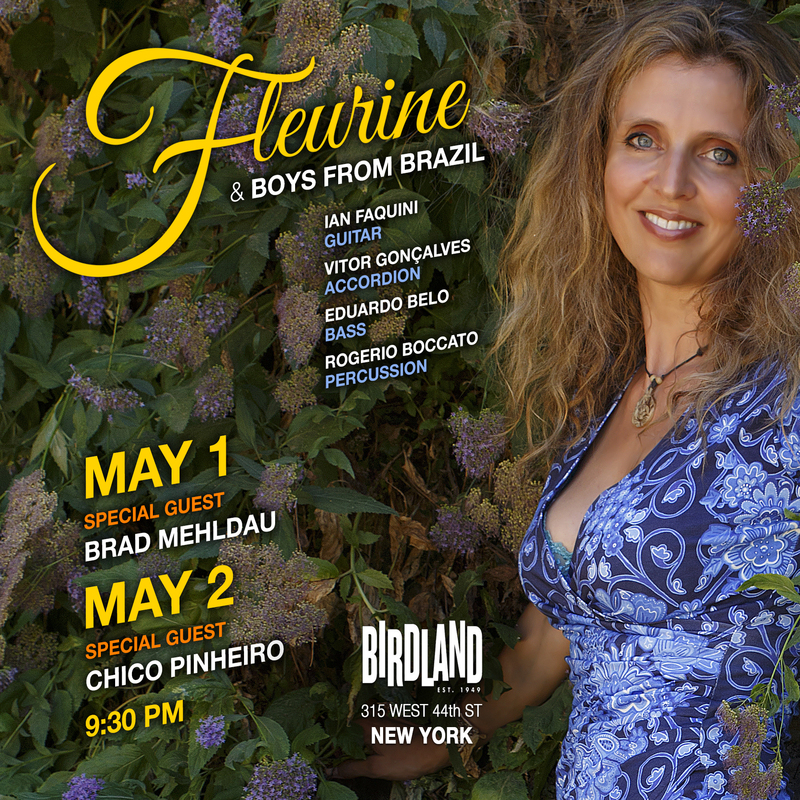 Fleurine will be back at Birdland celebrating her Brazilian Dream will almost the entire line-up of the recording! Brad Mehldau (May 1) and Chico Pinheiro (May 2) are special guests on the album as well as for this festive occasion! Boys from Brazil and all songs on the album will be featured. It took a while to get all the elements to coincide to make this party happen- don’t miss it! Get your tickets (see fleurine.com/concerts)! CD’s sold there are for a special cause: www.estreladafavela.com.